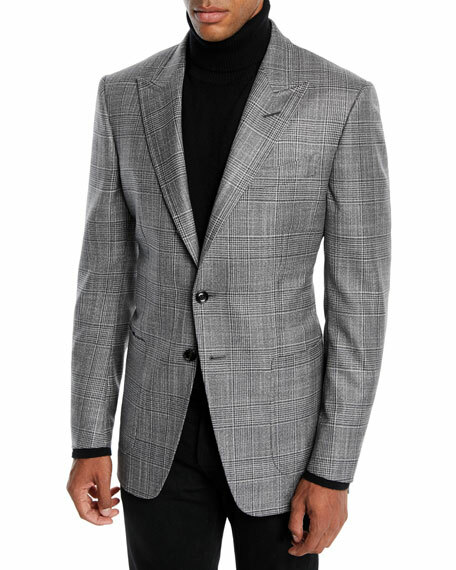 TOM FORD "O'Connor" blazer jacket in Prince of Wales plaid. Loro Piana sweater jacket in piqu??-knit. Notched collar; two-button front. 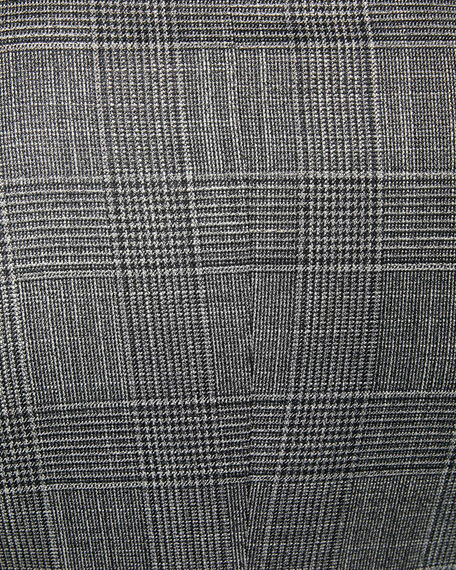 Chest welt pocket. Patch pockets at hips. Tailored fit. Cutaway hem. Cashmere/silk; leather trim. Made in Italy. Model's measurements: Height, 6'1"/185cm, waist 31"/79cm, suit 40, shirt 15.5x35, inseam 32"/81cm. 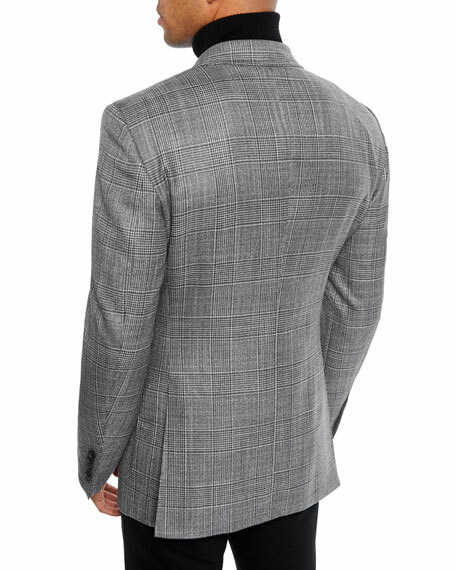 Peter Millar "La Jolla" jersey soft jacket. Notched collar; two-button front. Long sleeves; buttoned cuffs. Chest welt pocket. Side patch pockets. Tailored fit. Cutaway hem. Merino wool/silk/linen. Made in Romania.